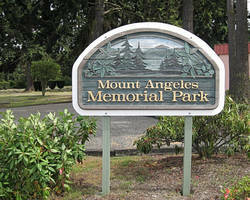 Mt Angeles Memorial Park was founded in the early 1930’s. The property for this cemetery was purchased from Mr. Eklund by Clarence G. Kent. He developed the oldest sections of the cemetery in the early 1930’s, yet several of the headstones date to the 1920’s. Mount Angeles Memorial Park was developed north to south and today has, several mausoleums, columbarium’s, niche banks, a cremation garden, crematory, and a staffed office. 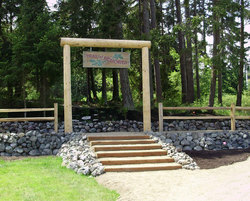 This cemetery also manages, operates, and maintains the records of the Sequim View Cemetery and Dungeness Cemetery.